Representatives from transit agencies in the mountains and across the state will gather on the coast, in beautiful Wilmington, for an opportunity to network, learn and socialize. 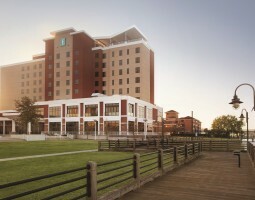 The Conference and Expo will be held at the Wilmington Convention Center, which is located on the scenic Cape Fear River. We are looking forward to an amazing event and hope to see you in April.